How do you decide which park home is right for you ? The quality of life offered by residential and leisure parks now attracts an ever-broadening clientele, attracted by interesting, exclusive and often peaceful locations, enhanced by security and like-minded neighbours. At the same time, the design and building standards of modern park and holiday homes evolves and improves, with each generation of homes. The latest static caravans, park homes and lodges are in every way comparable to a modern bricks and mortar bungalow. In many cases they feature striking modern design, fully fitted kitchens, open plan living, en-suite bathrooms and walk in wardrobes. A modern park home, fully winterised and built to the exacting British Standard BS3632:2015, is a practical, low maintenance energy efficient alternative to a traditional home. Furthermore, new homes are usually protected by a 10 Year Gold Shield Guarantee and NCC approval. So, with such attractive and affordable luxury, available on parks in unique, quiet and accessible locations across the British Isles it’s hardly surprising that more and more people are looking seriously at this lifestyle option. But just how do you choose which park, and which home, to provide the lifestyle you are looking for? Once you start searching in earnest you may find the choice overwhelming, so as with many major decisions its best to be organised, apply some military grade planning to the process and establish some priorities. In other words, make a list. Better still make a list and split it into “must-haves” and “desirables”. In nearly every case, top of the list will be location. You will then need to decide which sort of park will suit you – large or small, rural or close to amenities and attractions. Do you fancy a park with an active social life amongst residents or a quiet park where people live privately? Make a list of facilities and amenities that you must have on the park and close by. This might be anything from an on-park laundry to a convenient bus stop or from country walks to handy shops and pubs. As you start your research add the ideas that come to you to the list, and as you narrow your research down – work out a scoring system to help with decision making. When it comes to choosing your home, you will need to consult with the park owners who will often have a preferred manufacturer and a range of pre-owned homes, ready-sited homes and show homes to provide inspiration. Naturally the size of your budget and the size of plots available on the park of your choice, will determine the age and the style of the home that will be available. Choosing a brand-new home has one major advantage in that you will be able to influence the layout, appliances, colours and furnishings – tailoring the home to your tastes. 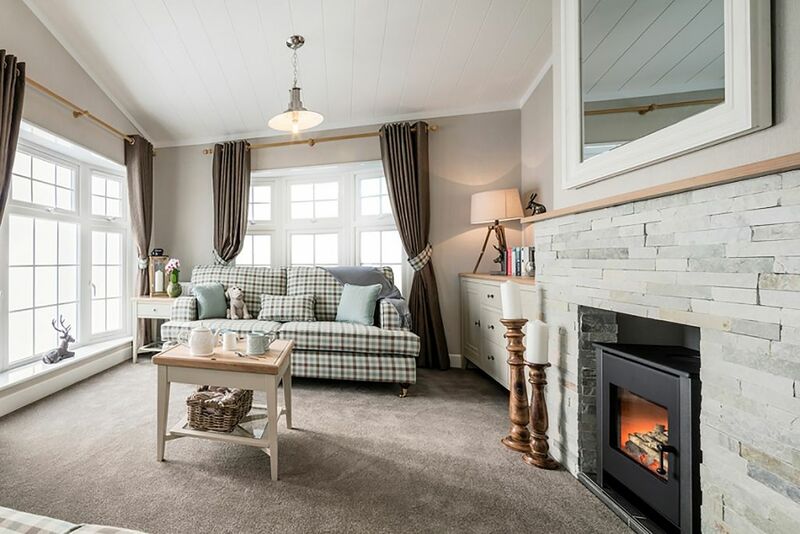 The key elements to consider are size, number of bedrooms, whether you prefer a luxury static caravan, park home or lodge styling, and timings – there can be a bit of a waiting list for bespoke new homes! Once you are armed with a budget, a target location and some must haves, the research can truly begin. Magazines such as this one, Park Homes and Holiday Caravans, provide a valuable first port of call. There is a handy park finder section at the back and you can quickly understand how it feels to become part of the park community. Reviews of selected parks and new homes also help to set the scene. Without doubt the best way to gather background information, without any sales pressure, is to visit one of the many exhibitions that are devoted to displaying the amazing diversity of homes available from leading manufacturers. The beautifully decorated show homes make for an interesting day out, and you are bound to leave with a carrier bag full of brochures and a head full of facts. There are shows nearly all year round, and up and down the country. For example, The World of Park & Leisure Homes Show takes place each June at Stoneleigh Park Warwickshire CV8 2LZ. The Lawns Show, near Hull and the Beaulieu Show both take place every September, whilst The Caravan & Motorhome Show at Event City, Manchester, happens every January and features each year’s new models from UK manufacturers. Before visiting an exhibition, it might be useful to look at the web sites of the major manufacturers and get an idea of the homes they offer – if something grabs your attention its worth contacting the manufacturing to ask if they will have something similar on display and even to book an appointment – shows can be quite busy and you don’t want to miss an opportunity to have all your questions answered. But how do you choose a park? So much for choosing a home – but how do you choose a park? Many home operators have parks across the British Isles and are owned by large corporate businesses whilst others such as Bartons Group are a family run business specialising in select number of parks in Devon and Somerset, including Seascapes, near Portishead and Glenholt in Plymouth. There is no better way of finding out about a park than making an appointment and visiting it in person. If possible ask to meet a few residents and get some feedback. If that’s not possible then Google “residential and leisure parks near me” and spend an hour or two on the web sites of the parks that come up. Make a list of questions based on what you find and then make contact by phone to get the feedback you need. All parks are not the same. Large parks run by national chains may provide the reassurance that comes with dealing with a PLC company, but at the expense of personal service. By contrast smaller groups, such as Barton, focus on carefully selected locations and the hands- on personal care, that only a family-owned and operated business gives. Two valuable resources are www.parkhome-living.co.uk which lists details of parks across the UK and www.rightmove.co.uk which lists park homes. In the end, the best advice is to take your time, visit as many parks as possible, attend an exhibition or two, use the internet and keep up to date with the latest news on this site! ← You are what you eat – if only it was that easy!